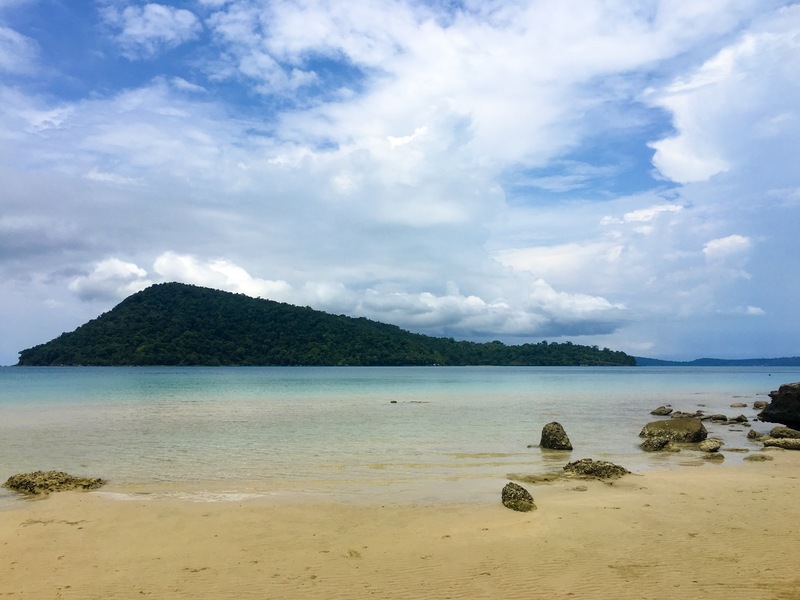 Just a 30 minute boat ride off the coast of Sinhanoukville in Cambodia lies the island of Koh Rong Sanloem. This amazing jungle island holds some of the most amazing beaches and dive sites in Asia. With jungle paths cutting across the island connecting one area to another one has to walk over an hour across beaches and jungle to find the one cafe with wifi. This sounds like the perfect get away from the connected world we live in until you take one look along the coast line. Many backpackers and vacationers come to this beautiful island to relax and forget about their daily lives but one thing is constantly pulling you back from it. THE TRASH. IT IS EVERYWHERE. The splendor of the island is taken away by the unsightly presence of garbage constantly floating in the prestine waters. The garbage is constantly washing ashore and become quite a hazard when walking because you have to be diligent not to step on it. This issue is something that is not just the islands problem but a world problem. People who visit can see the ramifications of not practicing the three R’s. Reduce. Reuse. Recycle. If people would practice this on a daily basis problems that Koh Rong Sanloem are experiencing could be reversed. Another way the islands could be cleaned up to prevent travelers and locals from getting sick is to institute clean up programs for all the backpackers that show up there in droves. For instance, fill a bag with trash from the beach and receive a free beer. Any one of these steps practiced around the world would drastically reduce our carbon footprint and keep places like Clearwater beach in Koh Rong Sanloem prestine. Another side effect of the pollution on the island is the accompanying health hazards. While not everyone experiences them my friend and I both did. We both developed rashes and started becoming sick. While we cannot conclusively pin this on the pollution it is a strong contender to being the culperit. It took several days for our symptoms to subside and feel normal again. While there is a lot of trash and dangerous animals on the island do not let this dissuade you from visiting the island. It’s beauty can be seen all over the island from isolated beaches, jungle treks along the coast line to world class diving. So go visit the islands but make sure you leave it better than when you arrived. Spend an hour cleaning up the beach and help save this paridise in peril. When you explore other areas of the island it does seem to be that Clearwater beach is the most affected area of the island. Most like due to its location because it faces directly at the main land. 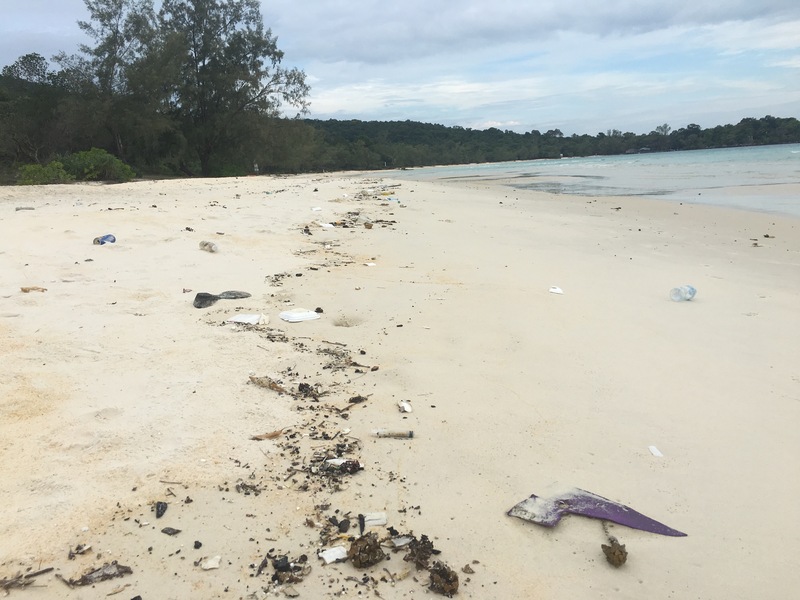 With the currents constantly pushing the pollution from the neighboring island Koh Rong mixing with the trash from the mainland it makes this beach a collecting ground for all the local waste. At night however, this unsightly presence disappears and the bioluminescent phytoplankton light up the waters with a dazzling blue display. Combined with the stunning sunrises this beach is a must see. Do not let the trash dissuade you from visiting. Just do your part and help clean it up while your there. Also, spread the world how much practicing your three R’s can help save this island and so many others like it!